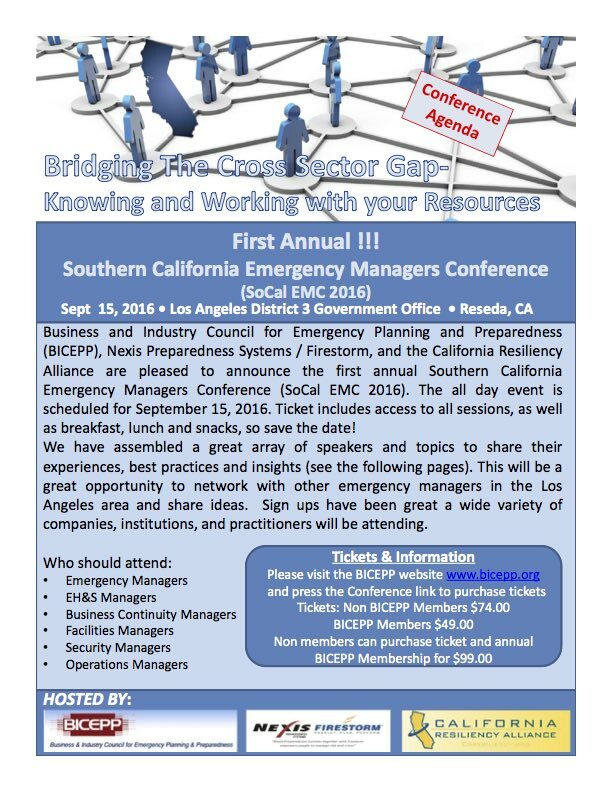 Business & Industry Council for Emergency Planning & Preparedness (BICEPP), Nexis Preparedness Systems / Firestorm, and the California Resiliency Alliance are pleased to announce the first annual Southern California Emergency Managers Conference (SoCal EMC 2016). This all day event is scheduled for September 15, 2016, from 7:30 am to 4:00 pm. The ticket price includes access to all sessions, as well as breakfast, lunch and snacks…so save the date! We have selected solid, relevant topics and assembled a well-respected team of speakers willing to share their valuable experiences, best practices and insights. 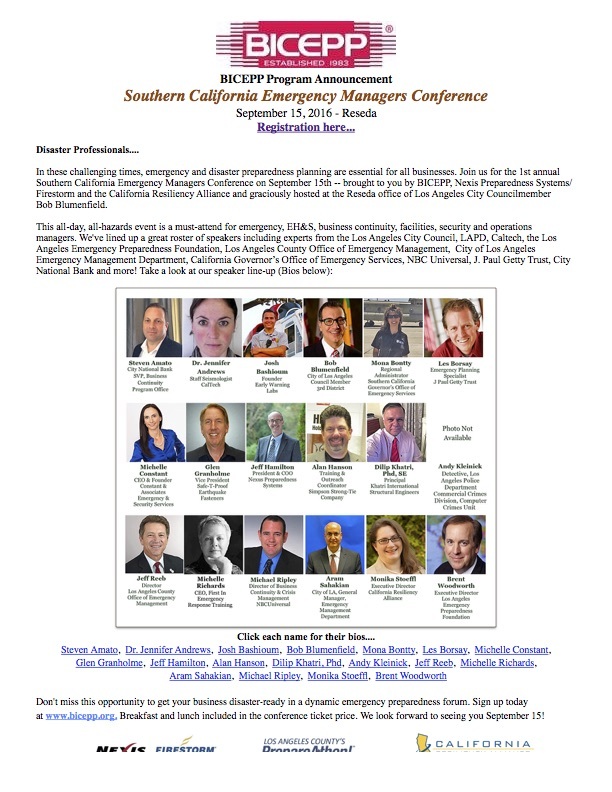 This will also be a great opportunity to network with other emergency managers in the Los Angeles area to discuss various ideas, strategies and personal experiences. Sign-ups have been going well - We expect a wide variety of companies, institutions, and practitioners to attend.